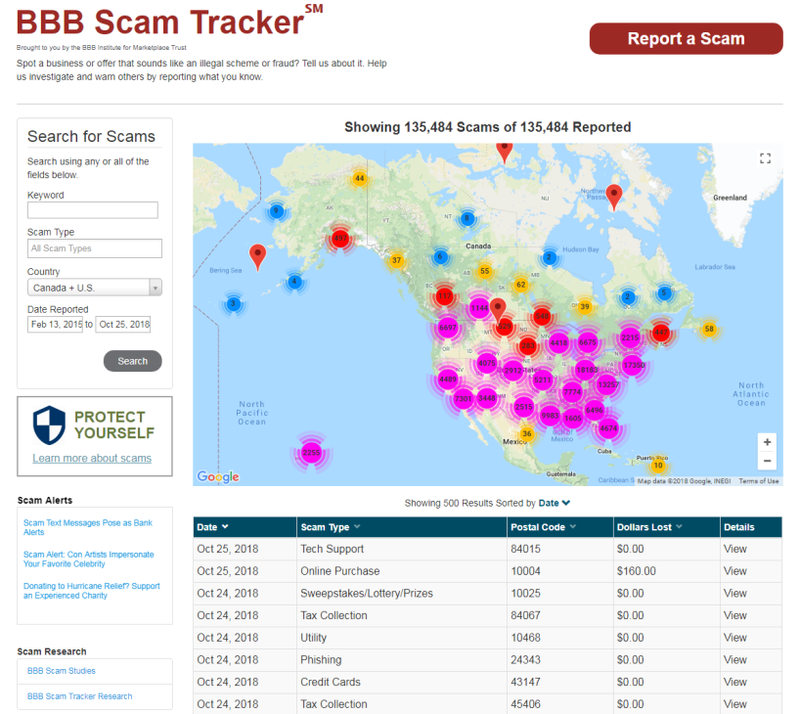 BBB Scam TrackerSM is an online tool that enables consumers and businesses to report scams in an effort to prevent others from falling prey to similar cons. 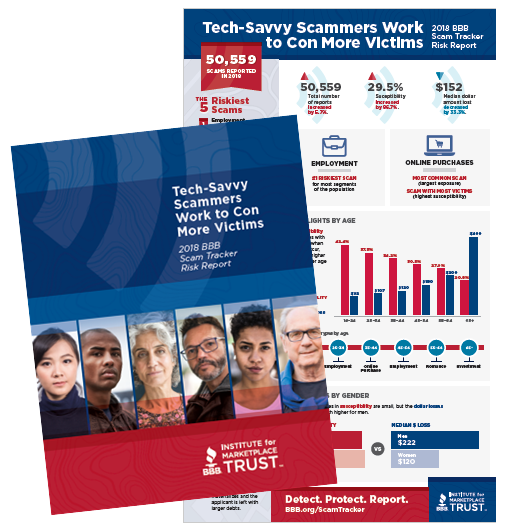 The easy-to-use tool collects and presents scam data in a searchable online “heat map,” showing users the number and types of scams and hoaxes reported in their communities. 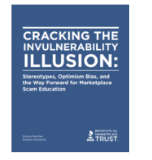 As a non-partisan, neutral organization, BBB Institute is able to produce research that provides fresh insights into the scam landscape. 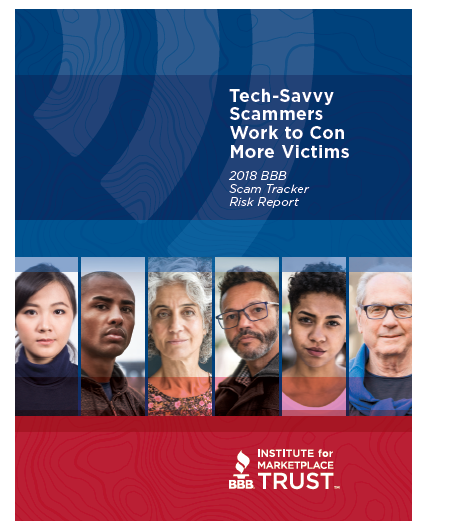 Using data pulled from BBB Scam TrackerSM and other sources, we provide fresh insights by identifying the latest tactics used by scammers. Reports verified by local BBBs. Insights translated into consumer education and awareness programs. Findings shared with law enforcement.